1. Use the gym equipment bring very fitness results. The most simple things often are the most practical things. The process is as dry as a chip, the result is cheerful. Using dumbbells and barbells can make you in a position of two head, three head muscle, best about a close partner to exercise. Clear your exercise purpose: is to want to put the chest muscle practice thick, the shape is a little chest, or specifically developed a portion of the chest, let the whole chest muscles are developed. When a clear purpose, consider what action to practice what parts. If the demand is higher, he needs some equipment to practice, such as the bench press, needs a barbell, bench press stool, etc. But it's adjustable, the grip is apart from the different, the chest part is different. The grip is apart from the narrow point, practice areas closer to the inside, to shape the chest muscle raphe. With wide apart, can practice the lateral chest muscle. Also, the parallel bars flex arm, on the edge of the chest muscle and the outer shape is an effective action. Exercise more important principle is: "strengths, step by step. If taken, will be injured, counterproductive. Boxing is a whole body movement, very pay attention to the body's coordination. Through some auxiliary equipment of practice. If struck pear-shaped ball or speed, can make the person's reaction is agiler, and because in the process of strike, must be highly focused, eyes all staring at the rapid movement of the hits object, so practice down, in addition to the concentration can be improved, the eye also can become god all the more. Practiced for boxing will tell you the same thing, that is boxing than running, instruments, etc. By the end, the same sport more fun. In boxing, pace, flexible punch has a lot of change, if you are good at thinking, can win by wisdom, you will find more fun. 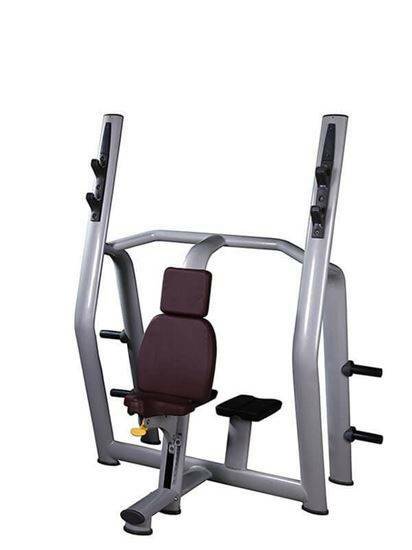 The correct use of the gym equipment can better help to achieve the effect of fitness, so very love sportsmen friends at ordinary times, must pay attention to these skills, because different gym equipment, to achieve the fitness of each are not identical, so of course according to their fitness for use. You can buy Easy to Use Exercise Equipment from Ntaifitness. In the process of fitness, should not be blind to practice, but need a complete fitness program to support your training, only in this way, to better play its effect. Now, you know how to use gym equipment right way.